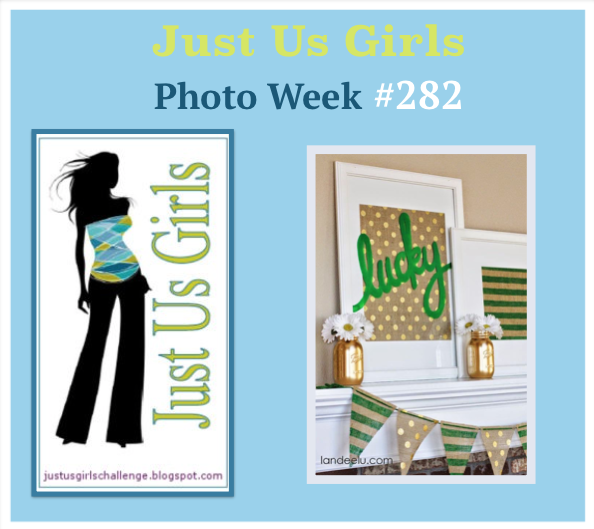 Hello Friends, Today over at Just Us Girls it’s Photo Week! I had a request for a 60th Anniversary card and I had this idea in my head and thought I could pull it off based on Vicki’s photo she chose. So, I concentrated on just the gold and not so much the green. However, there are green stars on my card I promise…. they were just so hard to capture in the photo. Each star has a small bling in the center as well. Can’t say I am in love with this card, but the recipient was! I didn’t have a balloon stamp that size, so I made a stencil with my Martha Stewart balloon punch. The sentiment is from SU set Chalk Talk and the Chevron embossing folder is SU too. I framed off my sentiment with a square nestie. Added some string with a gel pen and included some pop dots. Categories: Cards | Tags: Cards, Happy Birthday, rubber stamps, stamping, Stamping Up | Permalink. Very pretty! I love how you made your own balloon stencil, they look great. 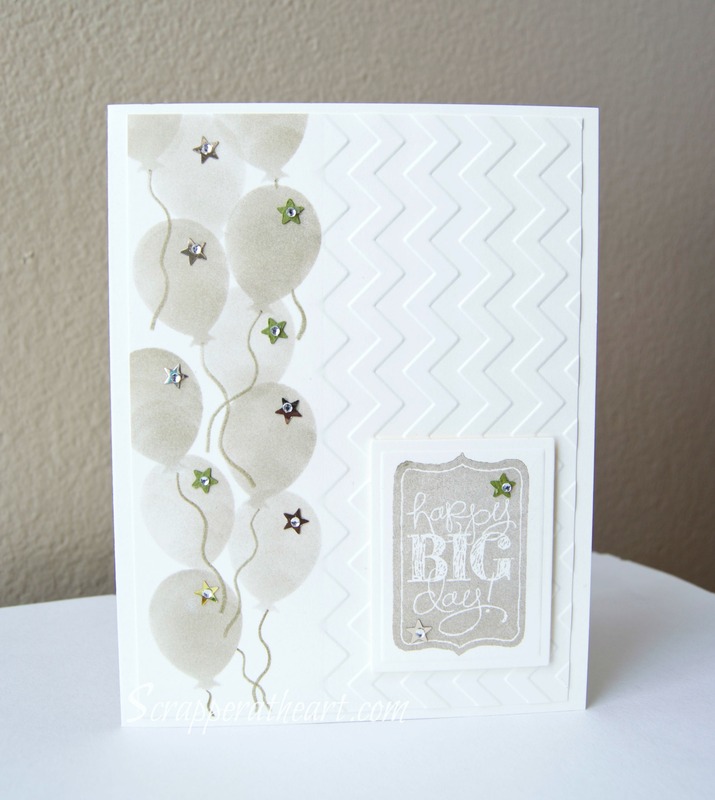 The subtle embossed chevrons pair up beautifully with the balloons with their little stars. Wonderful card, Nancy, very subtle and beautiful! Love the soft colors with that tiny hint of green. Isn’t it interesting how sometimes the cards we’re not-so-thrilled-with are absolutely adored by the recipient … I think we can be too hard on ourselves … love the idea of creating a sencil with a punch … such a pretty design … thanks so very much for the opportunity to guest design with Just Us Girls. That’s a wonderful card design and nothing says “celebration” like a bunch of balloons. This would work for not only birthdays but anniversaries too. This is a very celebratory card, Nancy. It looks like a big balloon release. OMG…sooooo pretty and elegant…who would have thought I would have said that about balloons. Really awesome job on this card Nancy! Oooh I can see the green on the stars. I love all of those balloons, one big happy celebration!!! Love how cas this is but looks fabulous. Great embossing background and those balloons and bling look great. Nice touch of colour too. Very pretty. I like your layout and the way you did the balloons. These balloons look so amazingly airy. Flying up and up on the card. The color that you chose works so well with the balloons too. I love that you have just put in a hint of the green. Great job! I pinned it! Yay you for making your own balloon stencil! Your card is so classy and elegant! Love the little green pops of color with the tiny star sequins!